This entry is part 2 of 11 in the series Creating My Smart Home. For my first venture into using Home Assistant, I went with a Raspberry Pi 3 to keep costs down and because it seems very well supported by the Home Assistant community. Once the hardware was assembled, I followed the installation instructions for HASSbian, which flashes a disk image to the SD card for the Pi so I had literally zero setup to get up and running. The Pi is connected via ethernet to my router, which is important before booting up the HASSbian image the first time; it expects access to the internet this way. The default UI may display some components automatically if they are discovered by Home Assistant. 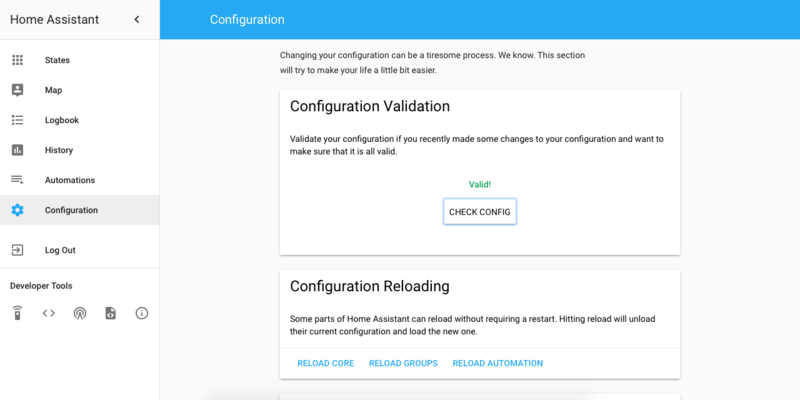 Home Assistant uses YAML files for configuration. Note: it’s very important that indentation is correct when editing these files or errors may occur. In the terminal you should see the contents of the configuration.yaml file with some commands listed at the bottom of the file. If you’ve never used nano to edit text files before, just keep in mind that the usual keyboard shortcuts won’t necessarily work. Keep things simple at first and just use the arrow keys to move the cursor around to where you need to type. First, enter the exact latitude and longitude where your Pi is located. Home Assistant has values here already, but they are just an estimate (based on your public IP address?). To find the exact latitude and longitude, view the location on Google Maps, then right-click on the location and select “What’s here?” A small popup will appear at the bottom of the map with the latitude and longitude values. Find your location on Google Maps, then right-click and select “What’s here?” to view the latitude and longitude. Enter those in the configuration.yaml file in the appropriate locations. You can also search for the elevation of your location and enter that for even more accurate sunrise/sunset times. 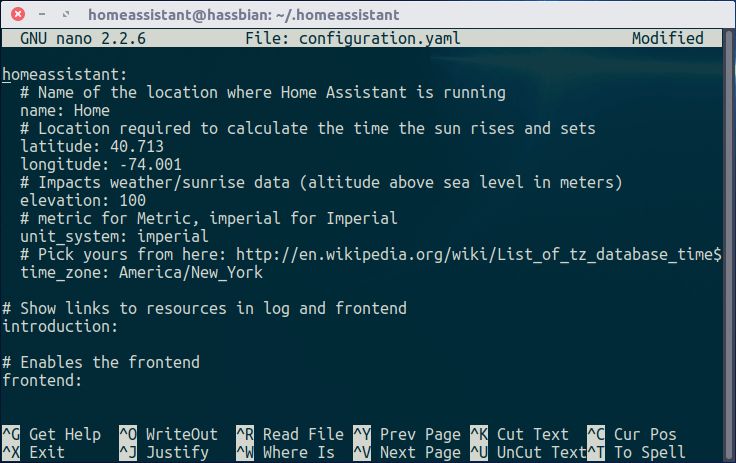 Here I’ve set latitude, longitude, elevation, and time zone in configuration.yaml. Pressing Ctrl + O then Enter saves the changes to the configuration.yaml file. Ctrl + X will exit nano and go back to the .homeassistant directory. Use the web UI to check the configuration before reloading or restarting to avoid errors. Hopefully there are no errors at this point. If there are, double-check all of the whitespace and indentation in the configuration.yaml file, and make sure the values you changed are valid and have no typos. Once you have a valid configuration, scroll down and press the Reload Core button. 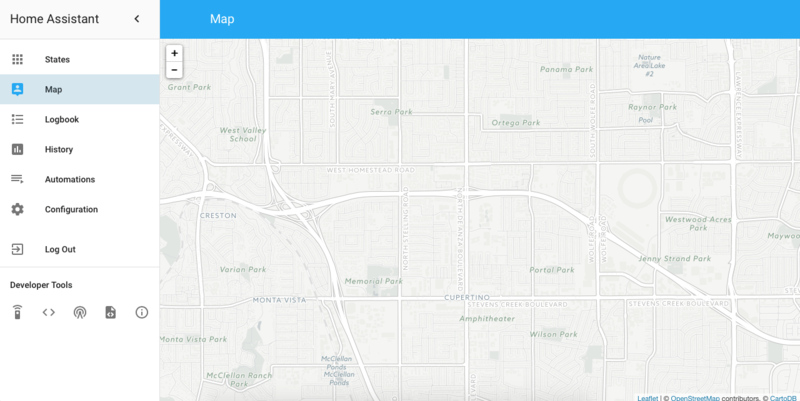 Within a minute or less you should be able to navigate to the Map section and refresh the browser to see the map’s location change to the new latitude and longitude. The map isn’t very helpful at this point because device tracking isn’t set up yet, but it does show that the changes to the configuration are working. Before going any further, it’s a good idea to update the default password for the “pi” user and to add a password for the web UI. 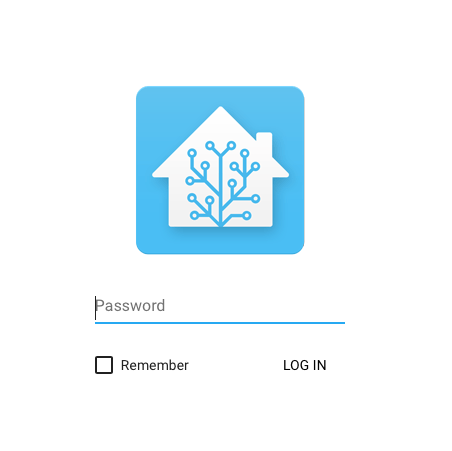 While you are still logged in as the “homeassistant” user, edit the configuration file again and under the http section uncomment the password line and enter a password. You’ll be prompted for this the next time you access the web UI. Uncomment the api_passowrd line be deleting the # symbol and the space immediately after it, then enter a password you want to use to log into the web UI. Once the configuration.yaml file is saved, check the configuration again, and if it is valid press the Reload Core button again. Wait a few moments and then refresh the browser. You should see a login screen. Enter the password you chose and log in! You’ll be prompted to enter the current password (“raspberry”). Type it then press Enter. Then you’ll be prompted for a new password. Type it and press Enter, then type it again to verify it and press Enter again. That’s it! The next time you use SSH to access the Pi you’ll need to enter this new password. 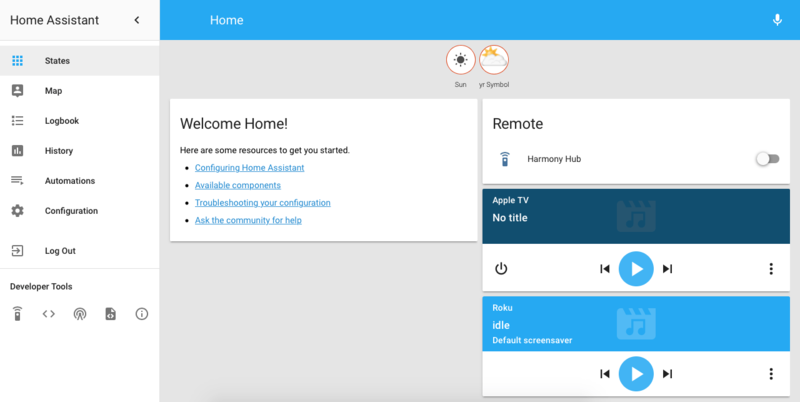 Now Home Assistant is up and running on your local network with some initial configuration complete and basic security in place. In future posts I’ll details additional configuration steps, adding more devices, and the fun stuff–automations!